From the point of view of GPAT, Pharmacognosy is considered as the most scoring subject. If one can prepare thoroughly for pharmacognosy then there are fair chances of qualifying the GPAT with flying colors. In the preparation one should pay due attention to the general pharmacognosy of the alkaloids, glycosides and terpenoids as these are one of the most asked sections in the GPAT. Here I am discussing this whole topic in detail covering the areas asked in the GPAT from these sections. Alkaloids are organic products of the natural or synthetic origin which are basic in nature and contain one or more nitrogen atom. This is the most simple and widely accepted definition of alkaloids. Normally, nitrogen is heterocyclic in nature in alkaloids. Alkaloids posses specific physiological actions. Protoalkaloids- Protoalkaloids are the compounds which do not contain nitrogen in the heterocyclic but are derived from the amino acids as precursor [e.g. Muscaline, colchicine, ephedrine and tryptamine]. Pseudoalkaloids- Pseudoalkaloids contain nitrogen in the heterocyclic ring but they are not derived from the amino acids [Steroidal alkaloids, terpenoidal alkaloids and purines]. Specific examples of pseudoalkaloids include connesine and caffeine. 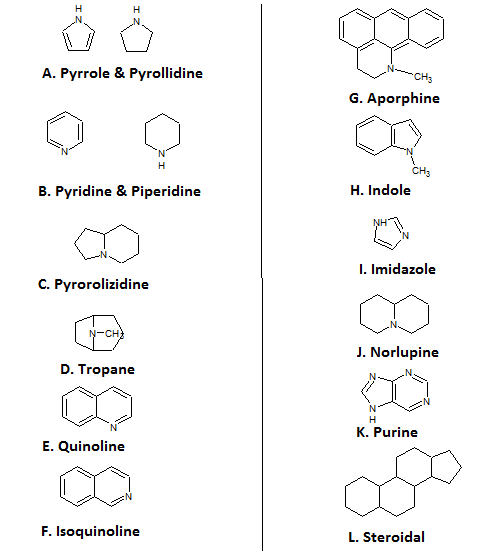 a) Free bases of alkaloids are soluble in organic bases and insoluble in water (physical property). b) Salts of alkaloids are soluble in water and insoluble in organic solvents (physical property). c) Alkaloids are basic in nature due to presence of lone pair of electrons on nitrogen (chemical property). 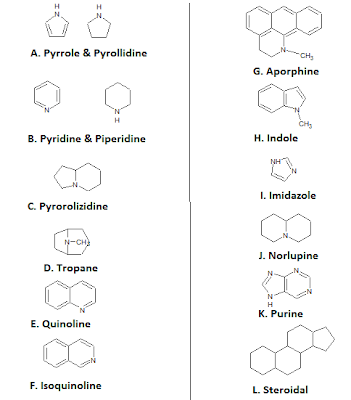 l) Steroidal alkaloids-Protoveratine, Solanidine & Connessine. Glycosides in general may be defined as the organic compounds from plant or animal origin which on enzymatic or acid hydrolysis gives one or more sugar moiety along with a non-sugar moiety (Aglycone moiety). k) Glycosidal bitters- Gentian, pycorrhiza, chirata & henna. a) C-glycosides-They are represented as- Glycone-OH + HC-aglycone = Glycone-C-Aglycone + H2O. Examples of C-glycosides are Aloe, cochineal & cascara. 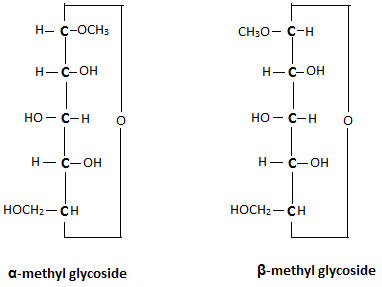 b) O-glycosides- They are represented as- Glycone-OH + HO-aglycone = Glycone-O-Aglycone + H2O. Examples of C-glycosides are Senna, rhubarb & cyanogenetic glycosides. c) S-glycosides- They are represented as- Glycone-OH + HS-aglycone = Glycone-S-Aglycone + H2O. Example of C-glycosides is Sinigrin (Isothiacyanate glycoside). d) N-glycoside- They are represented as- Glycone-OH + HN-aglycone = Glycone-N-Aglycone + H2O. Examples of C-glycosides are adenine, guanine, cytosine & thiamine (nucleosides). Terpenoids are regarded as derivatives of polymers of isoprene; structurally CH2=C(CH3)CH=CH2 or simply C5H8. Isoprene is also called hemiterpene and do not occur in the nature. Only polymers of isoprene exist which are called terpenoids.